On Tue night, Dec 1, Davao City Mayor Rodrigo Duterte — in a report on GMA News' 24 Oras — revealed that a priest sexually abused him when he was a boy. "Duterte, 70, made the allegation amid the flak that he had been receiving from members of the clergy for his use of an expletive when he discussed "traffic hell" during Pope Francis' visit to the Philippines," reports GMA News Online. 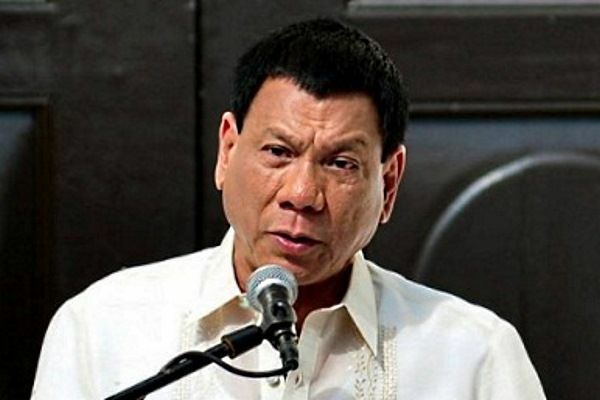 Duterte stated, "[Kami] sa Ateneo noon (We were at the Ateneo then) and I will tell you the abuses committed against the minors at that time including me and I will tell you my story. Kaming lahat dumaan kami (We all went through it)." The report noted: "The PDP-Laban presidential candidate also reacted to Catholic Bishops Conference of the Philippines president Lingayen-Dagupan Archbishop Socrates Villegas' remarks on Duterte's use of bad words." He added, "Look, kayong mga pari, kayong mga bishop (Look, you priests, you bishops), you condemn me and you suggest that I will withdraw and I will withdraw but then I will start to open my mouth." He also said, "There are so many secrets na kaming mga bata pa tinataguan namin wag nyo kaming pilitin because itong relihyon na ito is not so sacred (There are so many secrets that we kept when we were young. Don't test us, because this religion is not so sacred)."